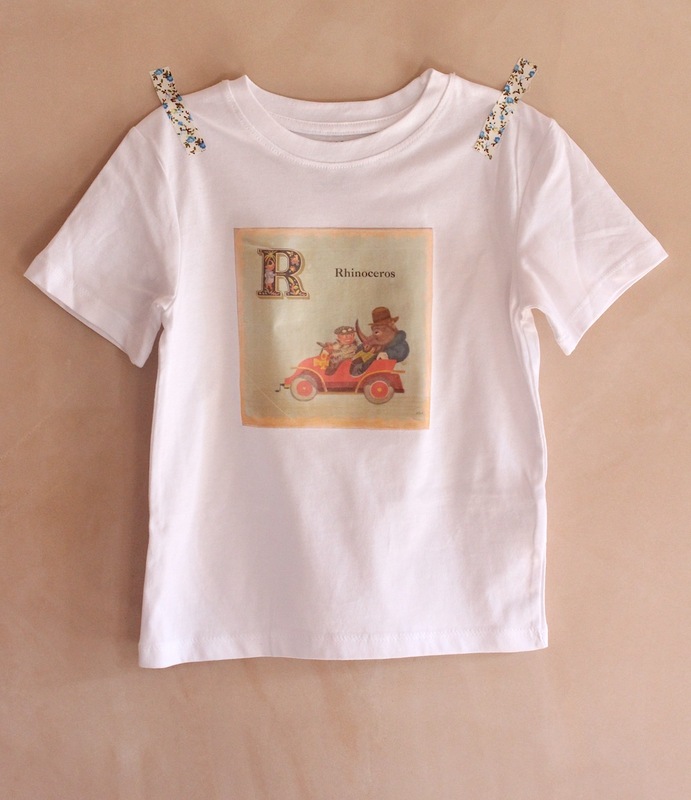 Just popping in rather quickly to share a photo of the T-shirt I made for the littlest’s first birthday at the weekend. 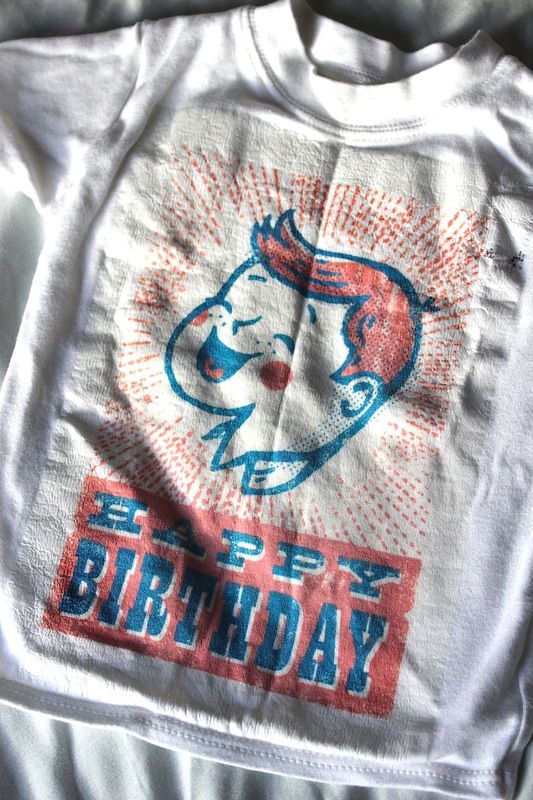 I’m thinking of turning it into a bit of a tradition, this birthday T-shirt thing. 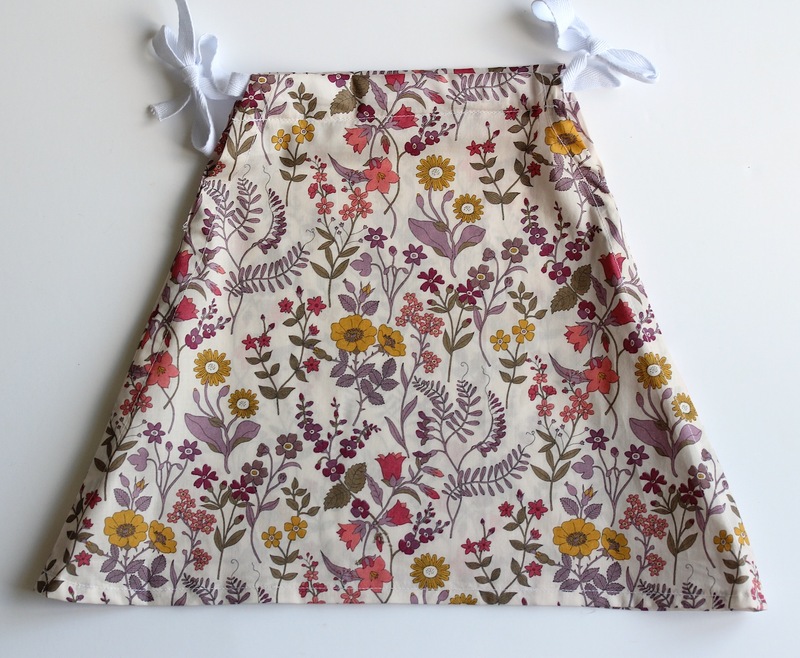 Do you remember the top I made for the sproglet’s second birthday last July? 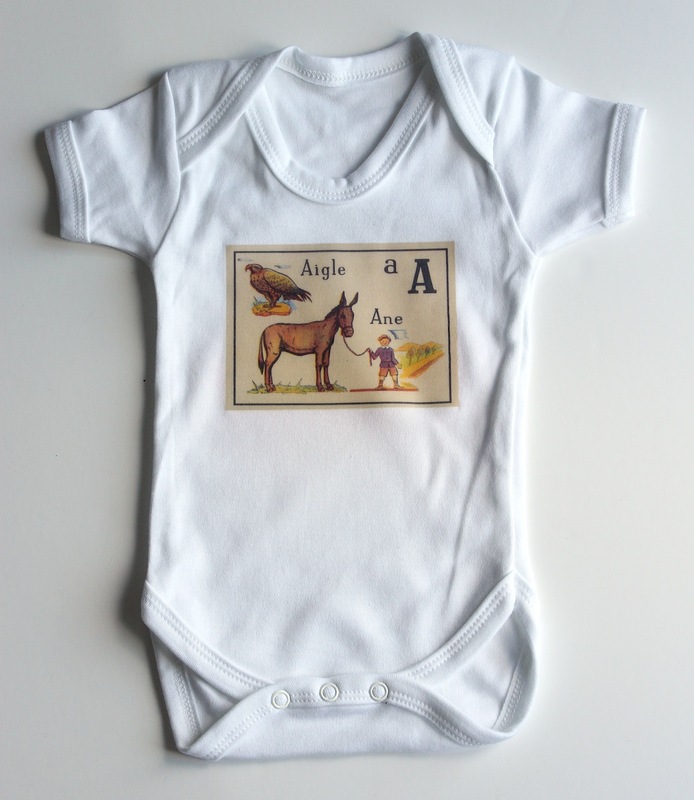 Needless to say, far less time, thought, planning and energy went into the making of this one for the poor old baby. Where the sproglet had a large, well-planned and well-cooked-for first birthday party, last Saturday’s affair was a family only, last-minute organised do, catered by a quick trip to Waitrose to pick up sausages, scotch eggs and the like. We managed to make him a cake, at least, but forgot to buy candles. And as the first guest arrived – my Mum – I was still busy ironing the image onto the front of his birthday T-shirt, cobbled together in the last few minutes before the party officially started. Ah well, I rather suspect this will be his lot for the rest of his childhood. 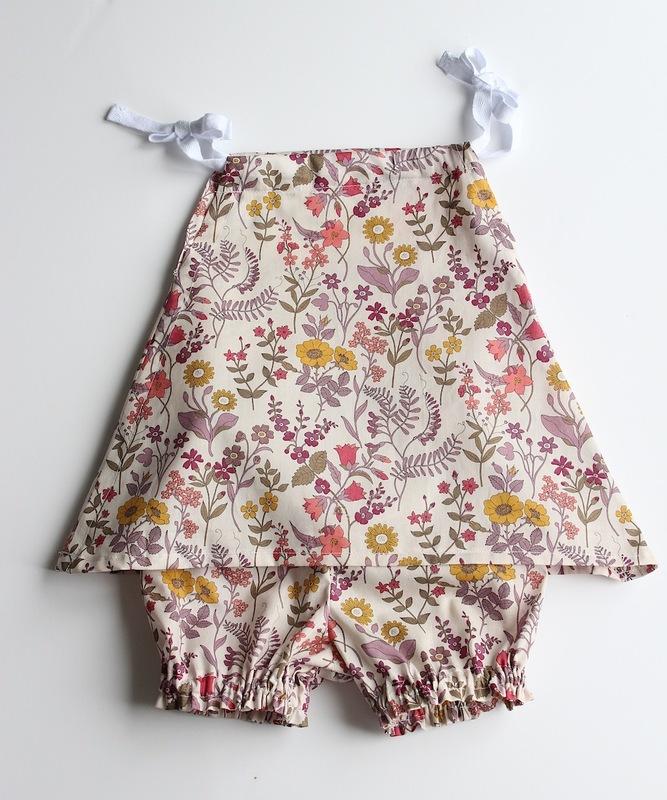 Hand-me-downs and less fuss made over all the big milestones. I wonder if it might not be a much easier entrance to the world, though, always aware that you’re not actually at the very centre of it, making it all spin round. At some point in time, his elder brother, the sprog, might get a rather rude awakening to all that, after the constant adoration and amazement from his family. Gorgeous boys, both, in their different ways. I’m very lucky. PS, I should mention that the image I’ve used isn’t actually copyright free and good for reproduction, so, erm, don’t tell on me. In a bit of a rush, rather than use my normal vintage images sources, I just had a very quick Google. PPS, If you’ve not already seen it and want to make your own T-shirts (or anything else at all), check out my tutorial for how to print on fabric. 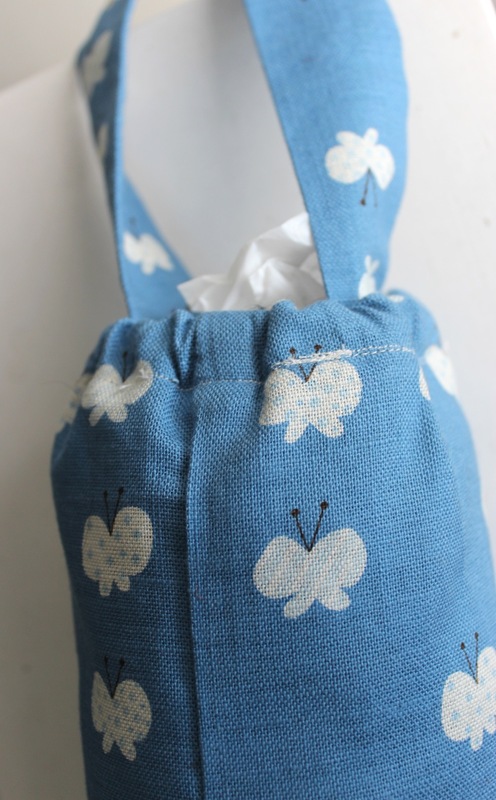 Sometimes you come across a craft pattern so great you can’t help but make it time and again. Sure, you think you to yourself, I could try out a different pattern this time round. I could make something new that I’ve not made before. In fact I probably should try out something new. Who knows? It might be better. 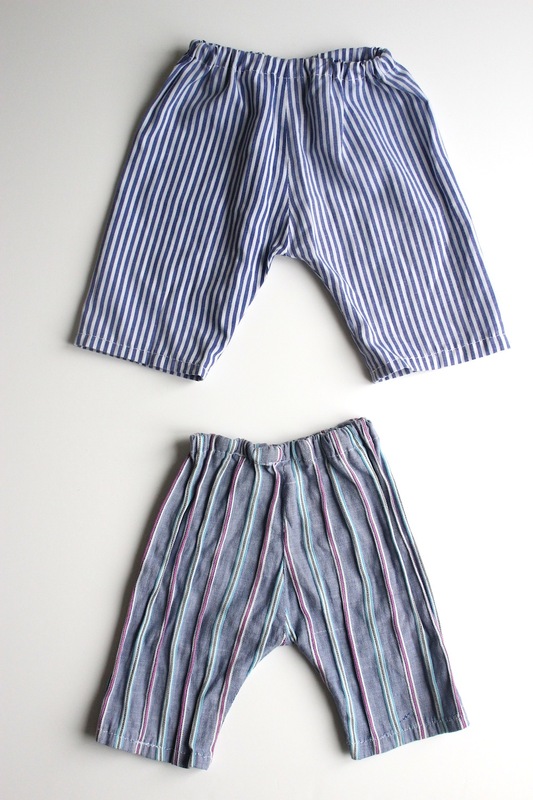 So it is with the Made by Rae pattern for newborn baby “pants” (or trousers, to me and all other UK folk). Quick, simple and oh-so-very cute when finished, I made three of these for my friend Laura’s third baby and then another pair for my sister’s son. 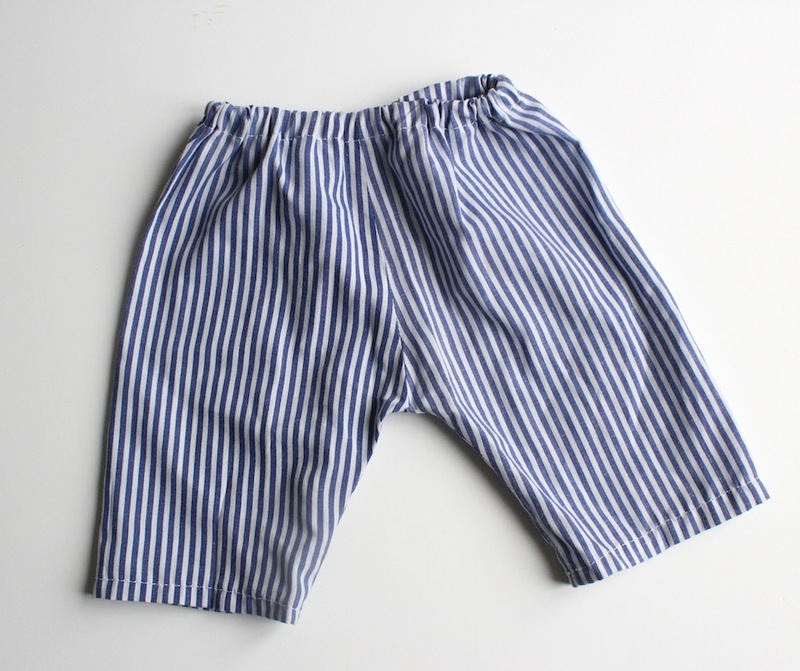 Unpacking the sproglet’s newborn baby clothes a few weeks ago, in preparation for the new babe’s arrival, I came across the original two pairs. Sewn almost two years ago now, these were my first foray into sewing with a sewing machine for many, many years. They were also my first time of making something that I had found through Pinterest, back when I used to pin craft projects imagining I actually was going to get round to making them all. 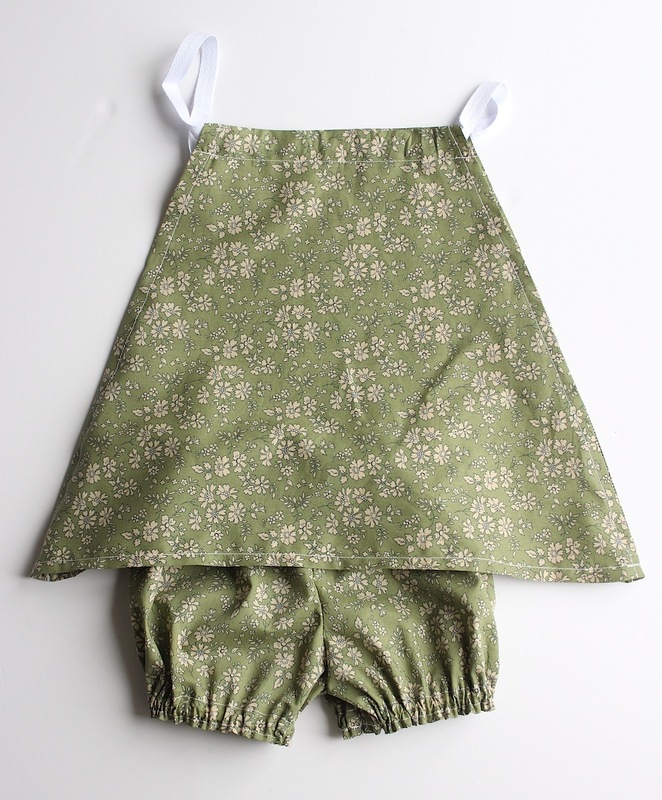 Sewn before the sproglet was born (and before this blog was born too) they almost seem to represent a different lifetime. The grey stripy version was from an old shirt of my Dad’s, which I then appropriated at the age of 16, when wearing old too-large men’s shirts that you most likely bought in a charity shop was, briefly, the height of fashion. 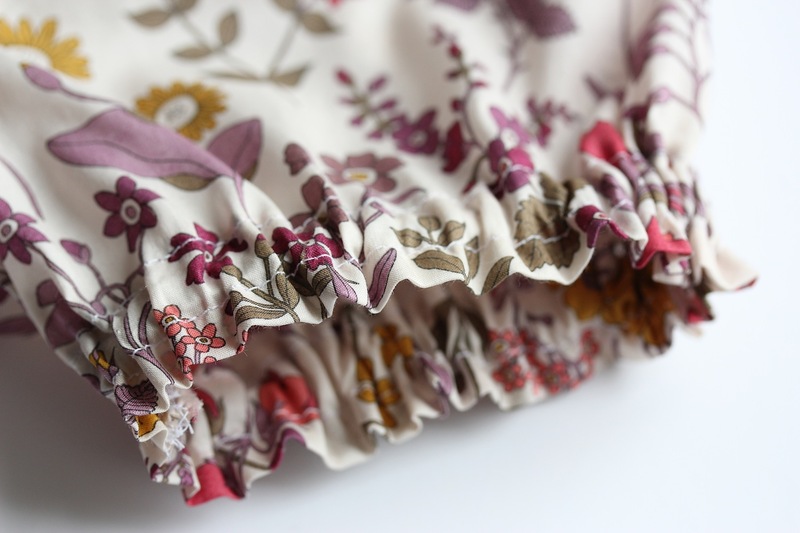 Ah this fabric brings back memories! They look a bit like chef’s trousers, don’t they? So, all in all, lots of memories stitched into these tiny trews. I can’t wait for the weather to improve so I can put them on the new babe too. In the last two weeks of my pregnancy, a haze of knitting obsessiveness descended upon me. I couldn’t put down my needles for a day. Heck, I couldn’t put down my needles for an hour. As far as a nesting instinct goes, I think it’s a pretty good one. Sure, my fridge was filthy, but how much more fun to have lovely knitted things rather than a clean house? I whipped up a blanket for my future nephew in a few short weeks (even managing to immediately sew in all the loose ends I showed you a few weeks ago, rather than putting it off for months as is my usual wont). But as soon as I put down my needle, I felt the urge to cast on something new. And so this little cardigan was created over the course of a few days. It’s called the Puerperium cardigan, designed for babies up to six weeks old. A free pattern on Ravelry. I’m not sure about the name, personally, but the end result is super cute. I love those big round cream ones, but only had six of them, hence the little duck at the end. 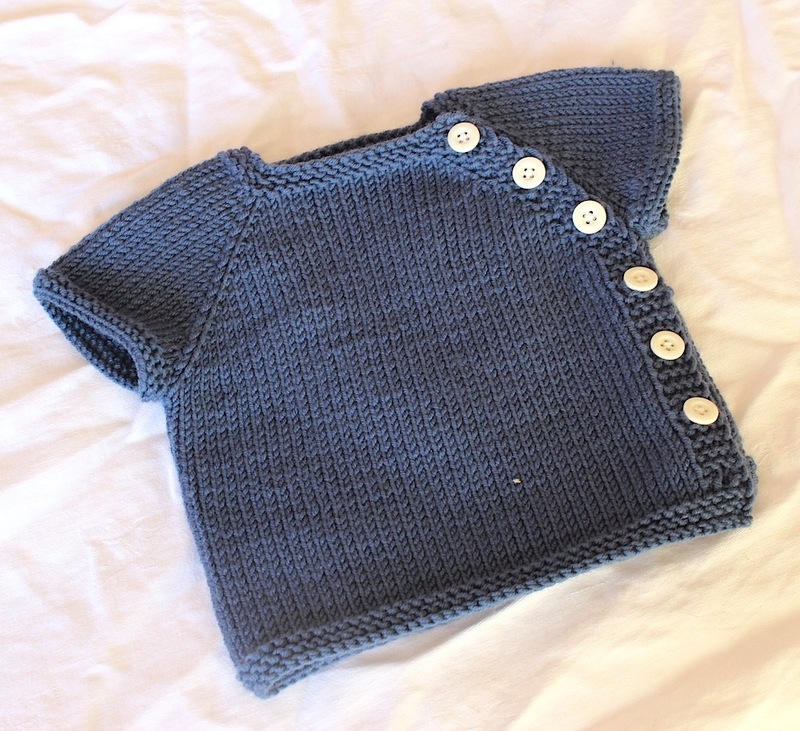 And hey, it’s a newborn baby cardigan, if ever there is a place for a button with whimsy, this is it. The yarn I used was lovely: Sublime extra fine merino DK. I really like the clean stitches that you can see, and the end result is both stretchy and squidgy, two things you want for baby clothing. The pattern is really simple to knit, I love a raglan sleeve construction like this, and the end result is really easy to put on the baby, what with the short sleeves and button up front. No squeezing his little head into a too-small hole. My only criticism: why quite so many buttons? I would definitely drop down to four if I were to knit it again. All project details are over on Ravelry: new baby cardigan. And since the baby has arrived, has the knitting craze continued? Erm, nope, I’m yet to cast on anything new. Ah well, til next time! I’m the oldest of four siblings, all born within six years of each other. I don’t remember my next sister or brother being born, but I do, very clearly, remember the excitement I felt at my youngest sister’s birth. Or, more accurately, the excitement I felt about the fact that she brought me a present when she arrived. 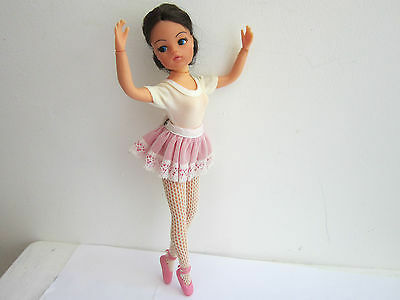 And not just any present, oh no, this was a ballerina Sindy doll… …one that my parents had already told me I wasn’t allowed to have. Ha ha, parents, take that, it’s me and my new sister together against the world! Personal memories aside, I’ve been given advice by almost everyone I know with more than one child to buy the older sibling a present “from the new baby” as a softener and I’m certainly not above bribery to try and make everyone get along. So the sproglet has been purchased a couple of new books; one about both doggies and counting, which are two of his absolute favourite things in the world. 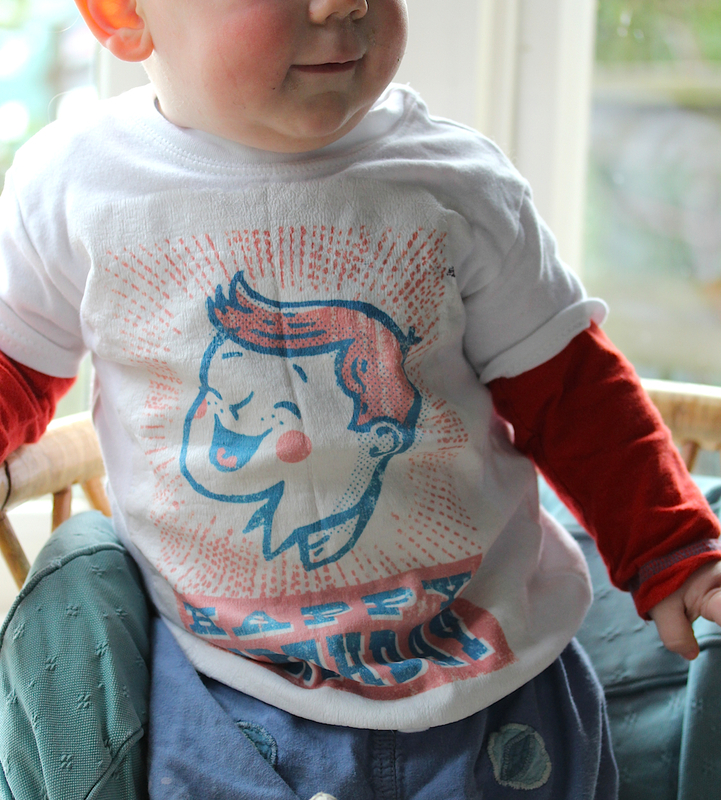 And last night I finally got around to making him some T-shirts with some more of his favourite things on the front, following my usual method (see more info at my fabric transfer tutorial). This is they, photographed against the bare plaster walls of our bedroom, shortly before being wrapped. The dog print is my favourite. The image is from the Graphics Fairy website (here: vintage dog pic). There’s something so comical about waddling little dogs with long bodies, isn’t there? 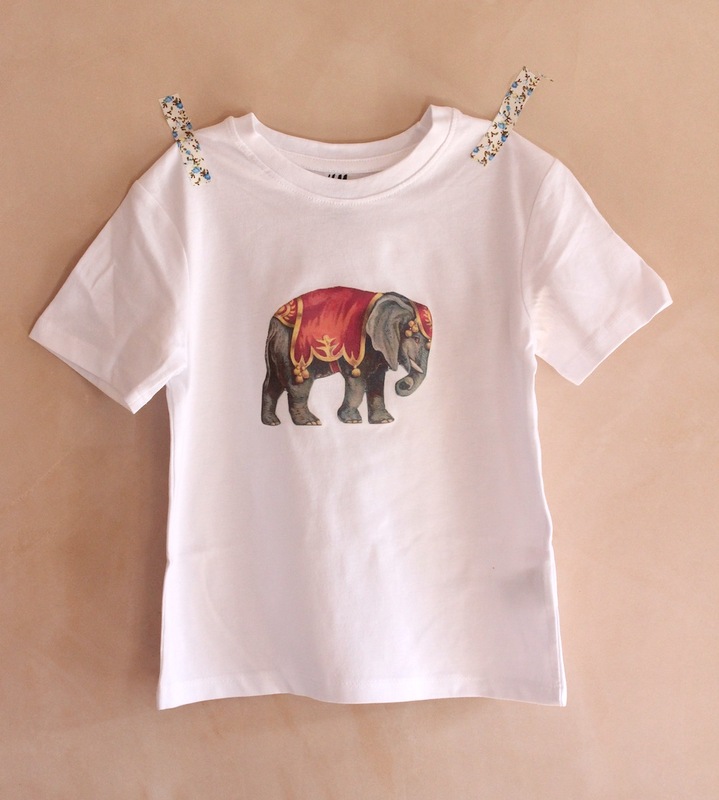 Yes, it’s just possible that the sproglet’s actual name starts with an R.
Finally, this circus elephant image is also from the Graphics Fairy: circus elephant. There is a whole selection of circus animals from the same series, again I have had something planned to make with all of these for ages, but once again not got round to it. 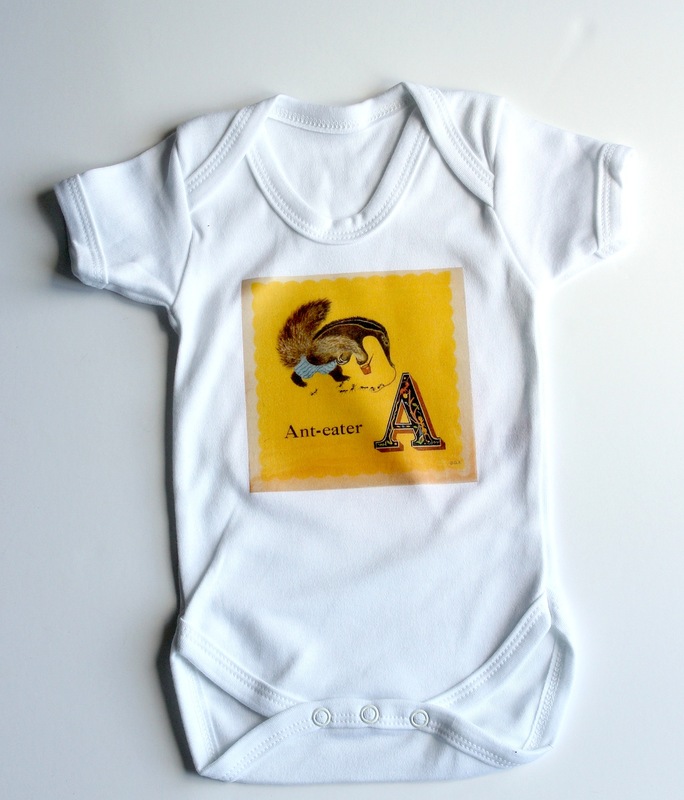 I did, however, use the giraffe a while ago on another T-shirt as a present for a first birthday. You can find all my vintage image pics saved on my Pinterest board Free graphics. Can you give my weary brain a little help this fine spring morning? 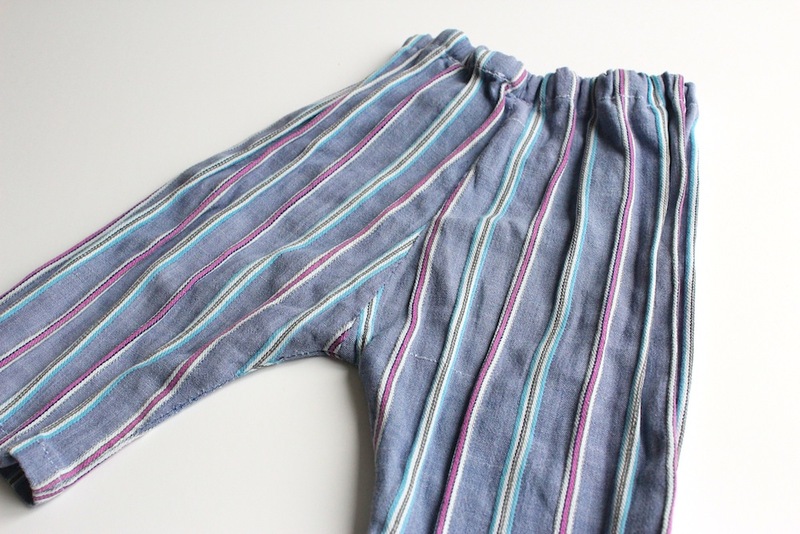 When my sister had her first baby, last summer, I put together a lovely little box full of homemade goodies: a blanket that I’d been knitting for the previous four months or so, some homemade baby trousers and some homeprinted babygrows. So, I’ve got (probably) a few weeks of late pregnancy brain fug and lack of crafting mojo to work on something now, followed by a few weeks of new baby brain fug and, I suspect, no time at all for any crafting, mojo absent or otherwise. So, what I’m after is a quick make, but still of something really special. Does such a thing exist?! I trawled my Pinterest board, I could make that, to see what had inspired me in the past and this is the shortlist. Does anyone have any advice on these projects? Or any suggestions for something completely different? I’ve been pondering over this for so long now, I could have made something really nice in the meantime! I am still tempted to go for a knitted blanket, but making sure I pick something simple and quick. I’ve long admired this simple block colour blanket, also from the Purl Bee, and am tempted to try and make one with four rainbow colours (red, yellow, green and blue) and then add a border around the edge in cream. Potential issue: is this one of those projects that looks quite simple, but actually takes a long time to make? I have a sort of feeling that I could be spending hours trying to get the perfect pointed corners. He’s squidgy, he’s a bunny, he’s red and striped. What’s not to like? Then, of course, I could go for a homemade toy (or two). I love this little squidgy red-tummied bunny from Chez Beeper Bebe. Why haven’t I simply started making one already? I’m just never quite convinced that toys are the perfect new baby present. I know the sproglet has accumulated a lot of toys over the 21 months of his life so far and maybe it is better to give something a little more useful??? 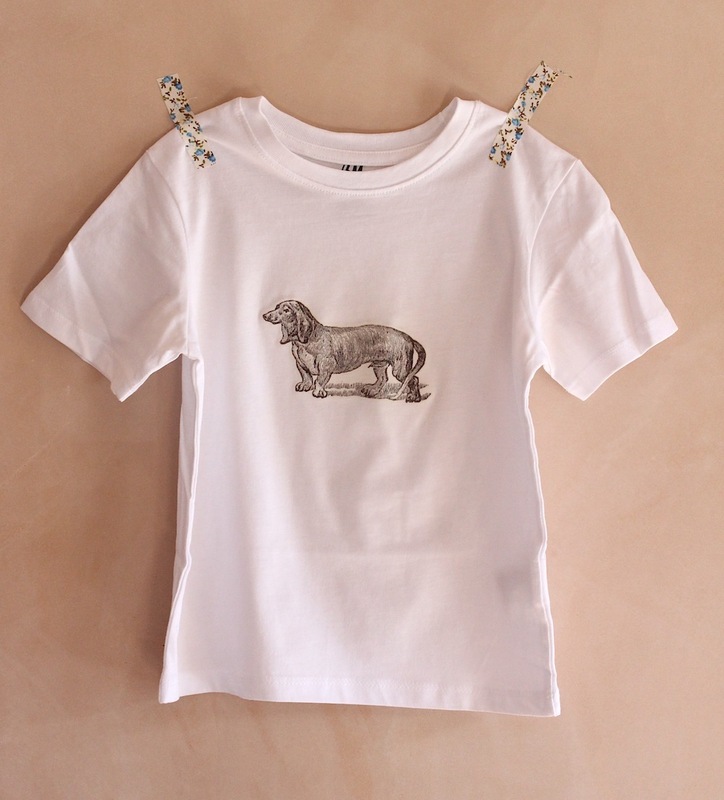 Then again, this little scrap fabric puppy is almost irresistible, isn’t he? And would surely keep a child company from babyhood all the way through to… …well, who knows how old? Back to the knits though. Maybe I should still aim for something with the knitting needles (easier to pick up and put down and work on little by little when I have time and energy in the evenings) but just focus on something a bit smaller than a blanket? This cardigan is really gorgeous, and if I knit it in a neutral colour like grey, I could always add buttons to make it more feminine / masculine after the baby’s arrival. Again, I already have wool in my stash I could use for this too. And the pattern is available on Ravelry as an instant download. This is the only one I am sure about. 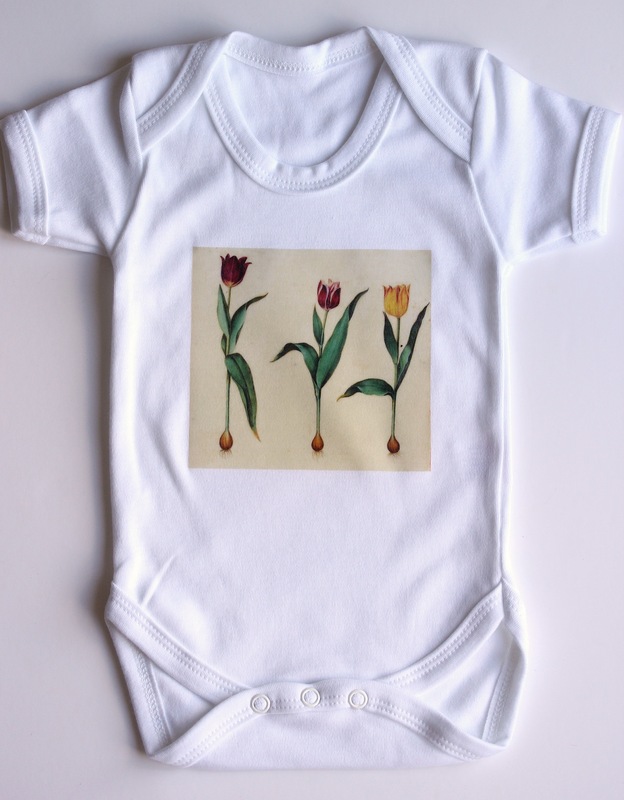 I will definitely be making some homeprinted babygrows, with an appropriate picture on the front, once the baby has been born. 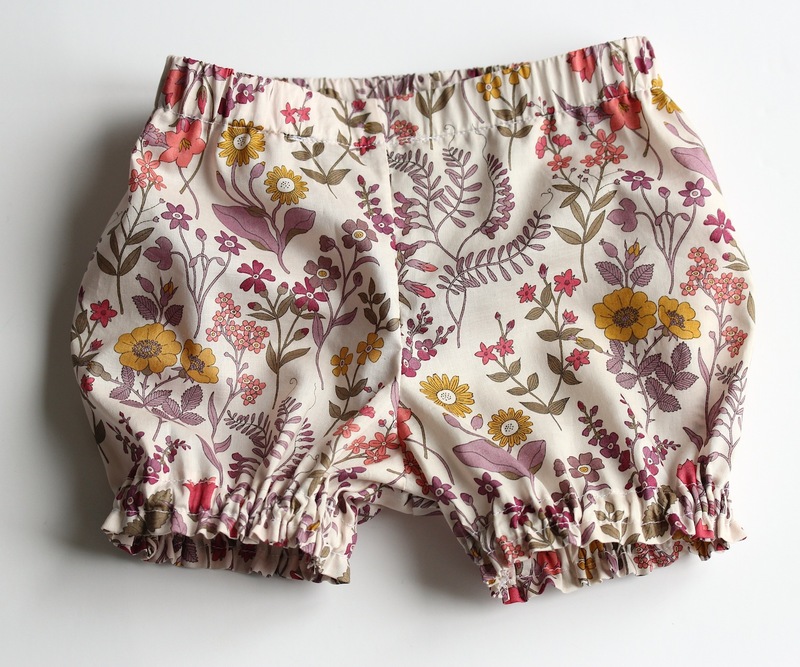 (I’m kind of hoping they have a girl and call her something like Rose or Violet, so I can use some lovely botanical images…) Check out my tutorial for how to print on fabric for more info. Well, even as I’ve been writing this, I’ve been vacillating wildly between all the different choices so, please, any suggestions to help my indecisive brain would be much appreciated! And more knitting projects over on Ravelry: baby booties, lovebug booties with matching hat and a really very sweet baby shrug. It was my Mum’s birthday a few weeks ago and, being the disorganised daughter I am, it got to the evening before and I realised I hadn’t yet bought her a present. I rang up to apologise in advance that her present was going to be a bit late this year and the disappointment in her voice was tangible down the phone line. And what did I come up with? This plastic bag stuffer! Not, I’ll grant you, the most exciting present in the world, but I knew that my Mum has a dark, dark cupboard in her house which is absolutely overflowing with hundreds of plastic bags, and she had admired my (ridiculously expensive) Cath Kidston version before. 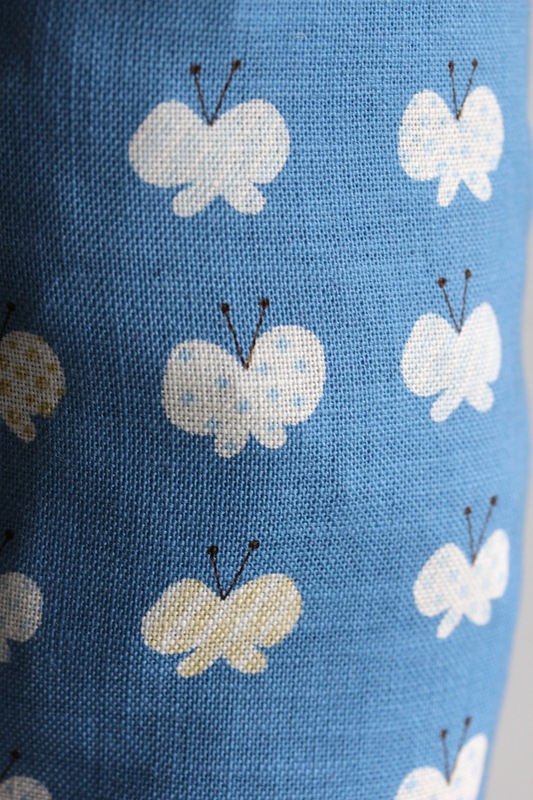 The fabric was the last remnants of some glorious Japanese butterfly fabric that I bought when living in Hong Kong a few years back. The construction was pretty simple. I cut myself two rectangles; the bigger one, at approx. 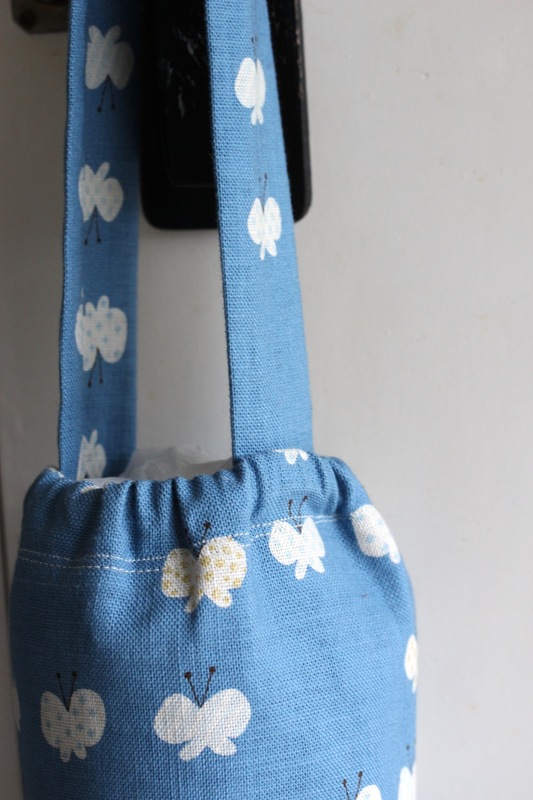 45cm x 35cm for the main bag holder, the smaller one, approx. 40cm x 10cm for the handle. On both rectangles, I sewed the two long sides together to make two tubes. 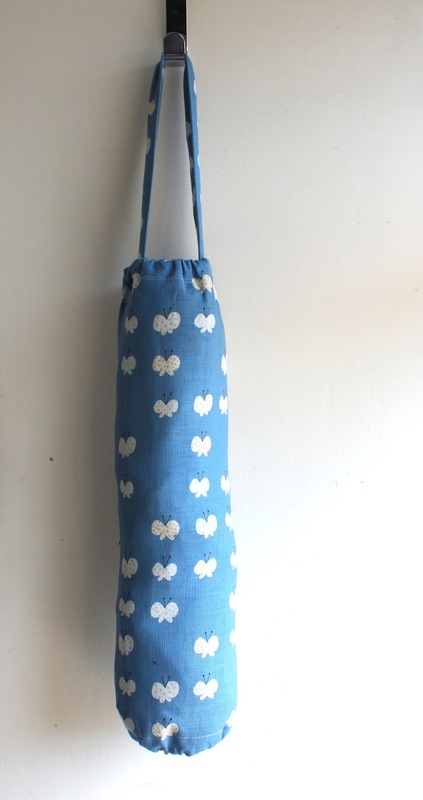 For the rectangle that was to be the handle, I turned the fabric the right way round and ironed the tube flat. On the large rectangle, I then folded a small hem at both ends, ironed this in place, before folding once more to create a second, bigger hem, of approx. 3cm. 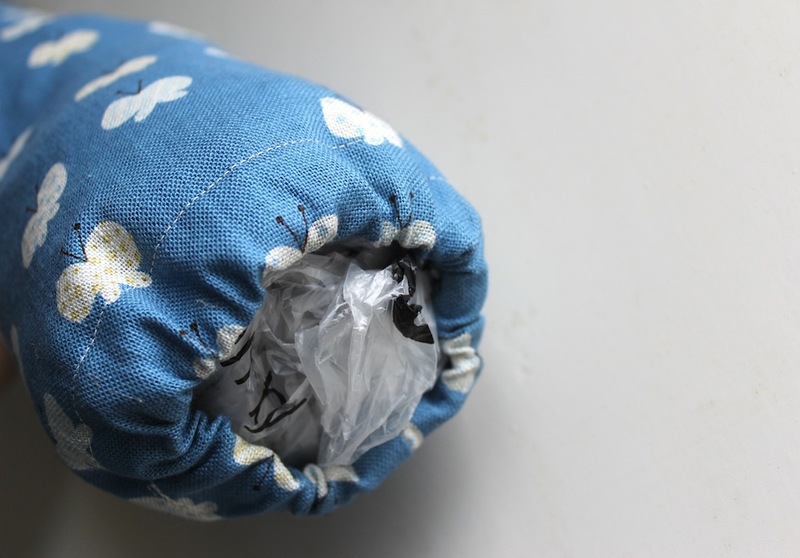 I pinned the handle into position at the top end of the bag and then sewed round the two large hems, leaving a gap to feed the elastic through. I cut two pieces of elastic, approximately 20cm long and, using two safety pins, threaded them through the holes and sewed the ends together. 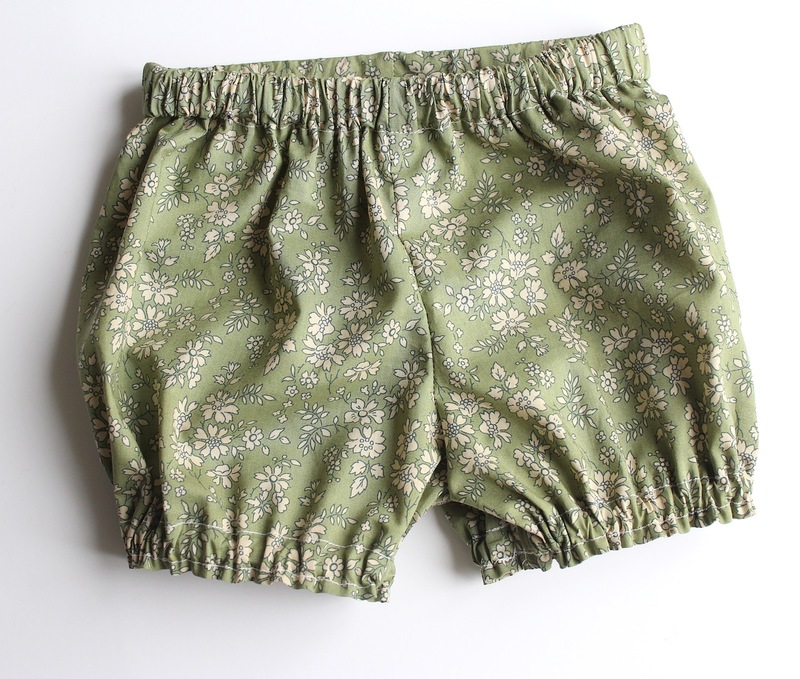 Finally, I sewed the gaps shut and admired my work. Of course, since I was also busy watching X Factor and it was night time, I didn’t stop to take any photos of anything along the way, so if you’d like to make one of these and any of those instructions didn’t make sense, do leave me a comment below and I will explain further if needed! 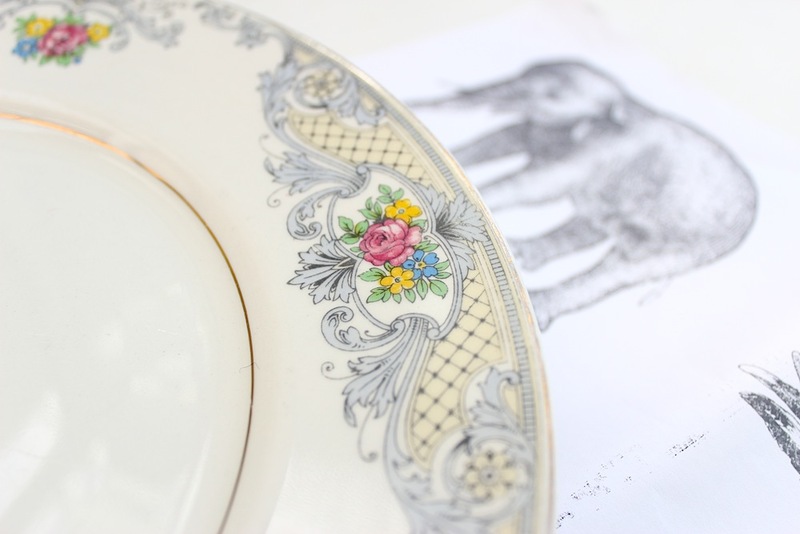 I did give her most of her presents at the time, but I had an idea to pretty up some vintage plates for a really personal present too. Um, it’s still in the offing, but the other day I did get the plates out and take a look at them. That’s a first step right? 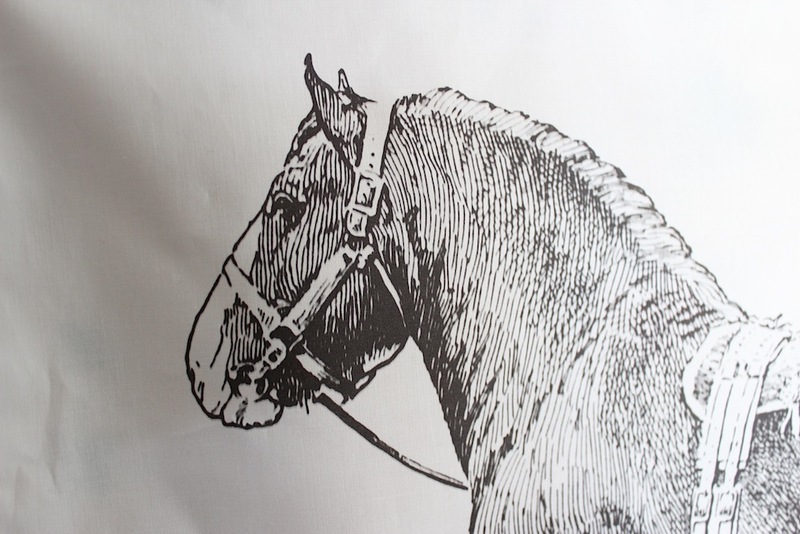 Another horse, what will he be turned into I wonder? As the present wasn’t exactly unexpected, I also thought I’d try and make something else as a surprise. The whole family recently moved house, so I thought an equine-related something-or-other for his room might be a good call. 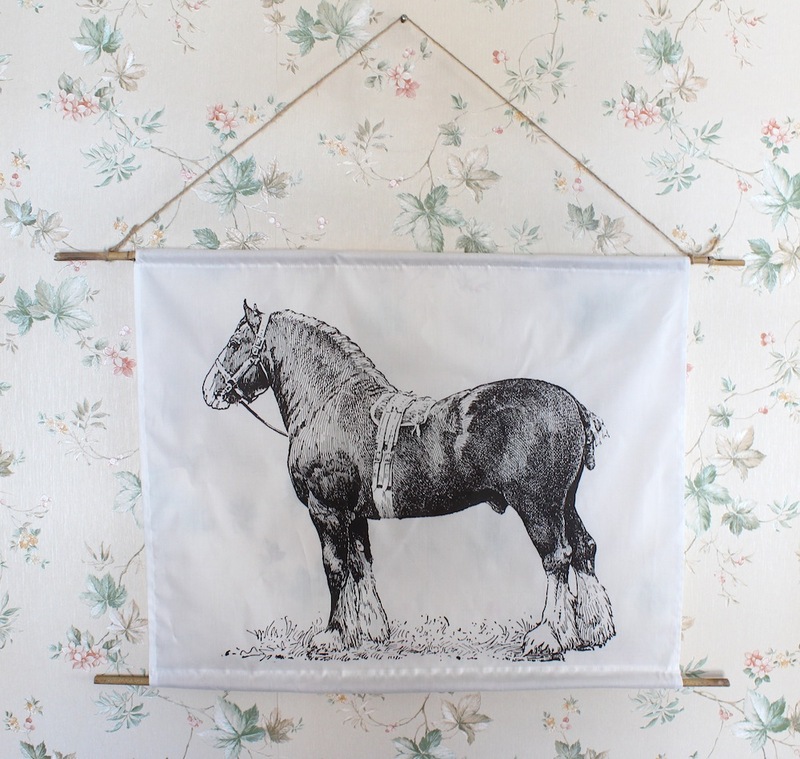 Since my love for Spoonflower is yet to wane, it seemed like a good idea (theoretically, rather than financially) to get some fabric printed with a horse picture and turn it into a nice wall hanging. He’s a fine beast, no? He’s rather glorious isn’t he? Til then, happy end of the week everyone. 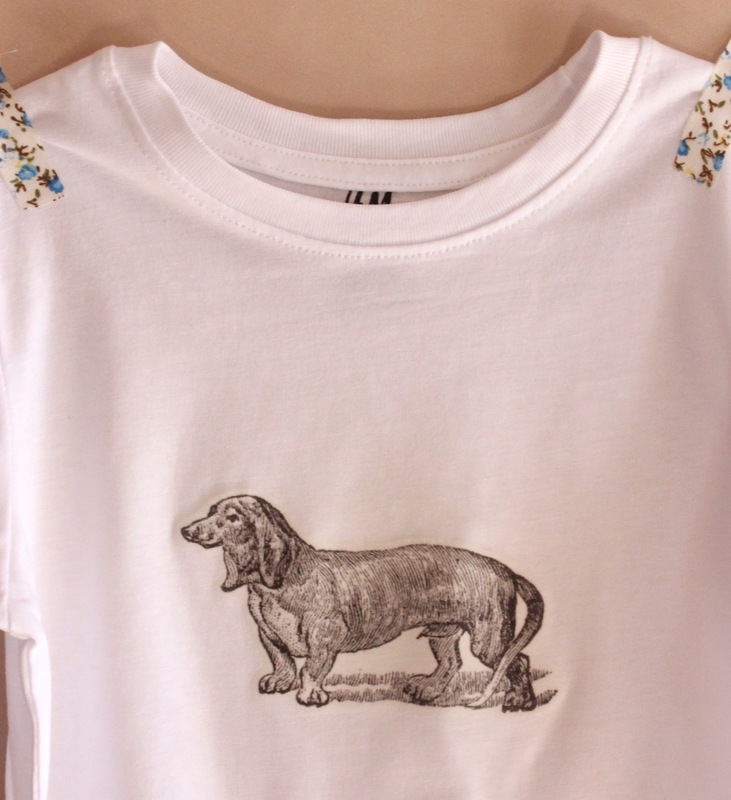 My love affair with ironing pictures onto T-shirts continued apace this week. We’re off to Ireland at the weekend, to stay with some friends and celebrate their baby’s first birthday. So, I was after a nice DIY one-year-old birthday present. As you’ll know if you’ve perused these parts before, home-printed T-shirts were my go-to present for friends’ children last Christmas. I was delighted, last week, when I met up with the recipient of the blue horse T-shirt (and his Mum) to be shown that he was wearing it right then. I was even more delighted when his Mum told me that he wears it at least three times a week (whenever it’s not being washed…) And it was a mixture of delight and relief to see that after all those washes, the transfer was still firmly in place. So, spurred on by these successes, I thought that another outing of the transfer paper was in order for this occasion. 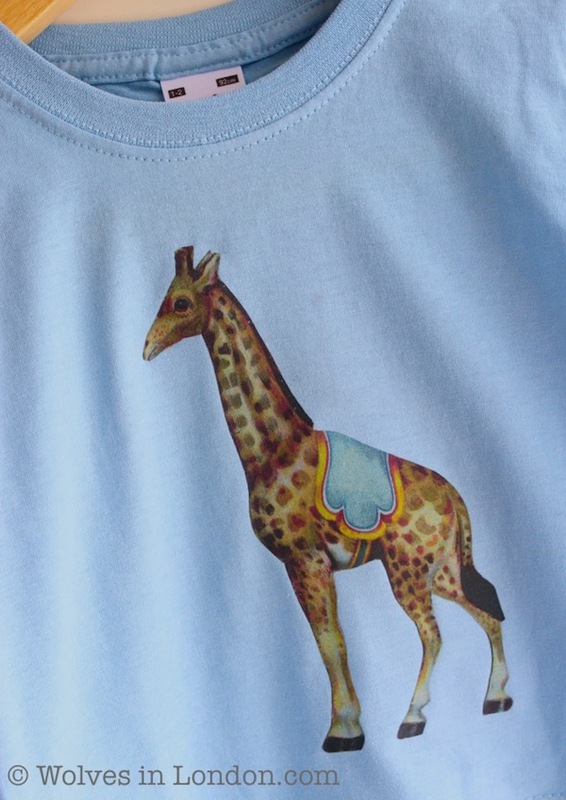 The second T-shirt, however, with this cute circus giraffe picture, you’re free to replicate if you’d like. I got this image, entirely legitimately, from the Graphics Fairy blog here: circus giraffe. So, as ever, I’m pretty pleased with my T-shirts. And I’ve got something else lined up, that also involves printed tomatoes. Here’s a sneak peek of it in process. Got a T-shirt you want to give as a present too? How about stamping your own gift tags or making a custom gift box?